UPDATE: These apartments are no longer available. Please contact us for current availability. Our contact details can be viewed here. Four apartments are currently for sale in the Roppongi Hills Residences. 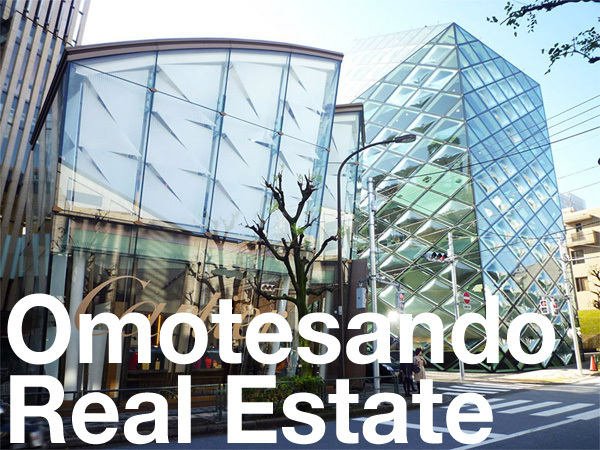 The Residences form part of the landmark Roppongi Hills complex, which includes an office tower, restaurants, a retail mall, Grand Hyatt Hotel, TV Asahi studio, Louis Vuitton, Tiffany, and Escada boutiques. Roppongi Hills is a nationally and internationally renowned complex and is considered one of the most desirable places to live, work and play. Residents can enjoy a rooftop party room, bilingual concierge desk, and may elect to join the on-site Roppongi Hills Spa & Gym. Of the 793 apartments in the four residential buildings, less than half are owned by private individuals, with the remainder held by Mori Building and available for rent only. All apartments in Residence C, for example, are rental only. Apartment resale values in this complex have generally remained relatively high over the past 14 years. In early 2016, a 2-story penthouse was listed for sale for 4,420,000 Yen/sqm. Apartments on lower floors range in price from 2,500,000 ~ 3,500,000 Yen/sqm (2,085 ~ 2,920 USD / sq ft) depending on floor height and apartment size. Of the four current sale listings in the building, two are vacant and ready to move into, while the other two are leased to tenants and suitable for investors only. The Westminster Roppongi is a 14-storey apartment building located right next door to the Roppongi Hills complex. The rental-only building was originally called Roppongi Arents and was developed by Japan Tobacco in 2003 in co-operation with Mori Building (who were developing Roppongi Hills). International property group, Grosvenor, acquired the building from JT in late 2011 and began offering the apartments for sale individually. Grosvenor renovated the building’s common areas including the lobby and elevator hallways under the directorship of architect Paul Davis. The building is managed by Mori Building – the same management company for the adjoining Roppongi Hills complex. Residents of The Westminster may be able to use the Roppongi Hills Spa facilities (membership fees apply). There is also a free 24hr gym within the Westminster building. This is a 1-Bedroom apartment on the 5th floor. It is east facing and includes a master bedroom with large walk-in closet, separate guest toilet, and a storage closet. It overlooks the Roppongi Highschool grounds and towards Tokyo Tower. The interior of this apartment was renovated in July 2013 with new kitchen, bathroom, flooring, tile and wallpaper. 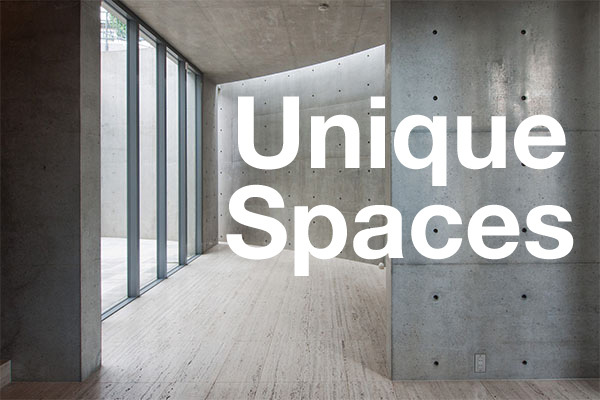 Domus Nishiazabu is a vintage low-rise apartment building located just 230 meters from Roppongi Hills. There are just 9 apartments in the 5-storey building. This is a 2-Bedroom corner apartment on the 2nd floor. It is south and east facing and includes two spaciously sized bedrooms, a wraparound balcony, wood paneling, and a bathroom with double-basin vanity. One flat parking space in the garage is included. The land ownership share for this apartment is approximately 55.06 sqm. Foretseine Akasaka Hinokizaka is a high-end 7-storey apartment building located in a prime position just along the street from Tokyo Midtown and Hinokicho Park. 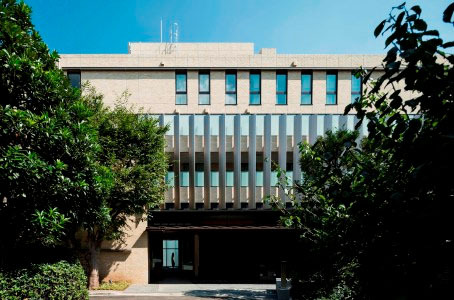 The building was developed by Mori Trust Group and completed in early 2016. Mori Trust’s projects, particularly the Foretseine brand, are aimed at the very top end of the luxury market. Some of their large-scale developments include Marunouchi Trust City and Shiroyama Trust Tower. Mori Trust is a subsidiary of Mori Building. It is located next door to Proud Akasaka Hikawacho and across the street from Park Mansion Roppongi. Both buildings have maintained high prices over the years. Sales began in November 2014 and all apartments offered for sale by the developer had sold out by April 2015. Construction was completed in January 2016, with apartments delivered to buyers from late March 2016. The apartments range from 1 ~ 3-Bedroom types, while sizes range from 73 ~ 170 sqm. The building was built using the base-isolation (menshin) earthquake-resistant method of construction. This is the highest-grade and most expensive option. It reduces the level of shaking in an earthquake and lowers the risk of furniture and valuables from falling over. Due to its cost, it is normally reserved for high-rise or luxury buildings only. This is a 3-Bedroom corner apartment on the 4th floor. It is south-west, west and north-west facing and includes a private rooftop terrace, two walk-in closets, two storage closets, a bathroom with double-basin vanity, a separate guest toilet, and floor heating in the living/dining. Built to a global luxury standard that Mori Building is renowned for, Ark Hills Sengokuyama Residence is one of the most sought after properties in central Tokyo. The mixed-use building contains 243 apartments on floors 3 to 24, with office space on the upper floors. The building was designed under the supervision of Cesar Peli, an Argentine American architect who designed some of the world’s tallest buildings including the Petronas Twin Towers. With 3 meter floor heights, apartments are guaranteed a ceiling height of 2.75m or higher. The 47-storey tower is located directly between Roppongi Hills and the recently opened Toranomon Hills. Mori have plans to eventually redevelop the neighbourhood directly south of Ark Hills Sengokuyama. This is a 1-bedroom apartment on the 8th floor. It is north-east facing and includes a master bedroom with walk-in closet and direct access to the master bathroom, and floor heating. The land ownership share for this apartment is approximately 8.14 sqm. This is a 1-Bedroom house in the eastern side of Roppongi. It is located directly between Roppongi Hills and Tokyo Tower. The south-facing wood-frame house has 3 floors, a bathroom and additional shower room, two toilets, an open-plan kitchen and a rooftop terrace. The house was built in 2014. The Roppongi Tokyo Club Residence is a 39-storey luxury high-rise apartment building in the heart of the Roppongi district. It includes a number of hotel-like facilities and amenities for residents including valet parking, porter, concierge service, house-keeping, 24hr room service, sky lounge, gym, guest suites and an on-site supermarket. The concierge can arrange for catering, flower deliveries, restaurant and travel reservations, translations and interpreting services. This is a 3-Bedroom apartment on the 39th floor (the top floor of the building). It is south-west facing and includes two balconies, a master bedroom with two walk-in closets, two additional storage closets, a bathroom with double-basin vanity, and a separate guest toilet. The apartment is currently rented to a tenant for 1,100,000 Yen/month. The Roppongi Hills Residence is considered one of top addresses in Japan. It is part of the Roppongi Hills complex which includes the Roppongi Hills Mori Tower office building, the Grand Hyatt Hotel, TV Asahi and a selection of designer boutiques including Louis Vuitton and Armani at your doorstep. The residences are home to Japan’s top celebrities and CEOs. The complex includes two high-rise towers – Residences B and C, a serviced apartment building (Residence D), and a low-rise residential building (Residence A). Of the 793 apartments in the complex, less than half are owned by private individuals, with the rest owned and available for rent-only through Mori Building. Residence C is 100% rental only, while Residences A, B and D have a mix of privately owned and rental-only units. This is a 2-Bedroom corner apartment in Residence D, which is the 18-storey serviced apartment building. The apartment is north facing and has two balconies. The apartment was previously rented under a fixed-term lease for 383,000 Yen/month. The tenant moved out at the end of June 2016. The land ownership share for this apartment is approximately 7.82 sqm. The building is managed by Mori Building. Car parking can be rented separately from 54,000 ~ 100,000 Yen/month (subject to availability). Forest Terrace Toriizaka is an 8-storey condominium developed by Mori Building and aimed at the upper end of the luxury market. It is located in the Roppongi 5 Chome neighbourhood which was historically home to a small number of large and grand estates. Services include a bilingual concierge, porter/doorman and 24hr security. Common facilities include a resident lounge, meeting room and library. Apartments are generously sized and larger units come with a family bathroom and additional ensuite in the master bedroom (a rarity in most developments in Japan). Floor heating is in the living/dining rooms and kitchens only. The building was completed in September 2015 and sales began in November 2015. Construction of this building first began sometime prior to 2009 and stalled halfway before commencing again. This month, Tokyu Land will start sales of condominium units in a 9 year old residential building in Roppongi. 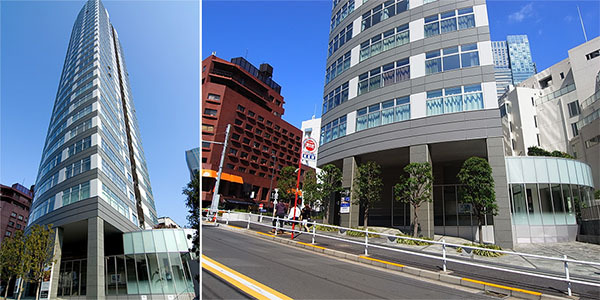 The company acquired the former Residia Tower Roppongi, a 27-storey rental-only tower, in 2014 and will soon start selling off the apartments individually as they become vacant. The revamped building has been re-named ‘Majes Tower Roppongi’. It is across the street from The National Art Center, 200 meters from Tokyo Midtown and 600 meters from Roppongi Hills. Apartment prices will range from 60 ~ 200 million Yen (500,000 ~ 1.66 million USD), with an average price of around 1,630,000 Yen/sqm (1,260 USD/sq.qft). A 47.88 sqm (515 sq.ft) studio apartment on the 8th floor is listed for 66,100,000 Yen, while a 117.14 sqm (1,260 sq.ft) 2-Bedroom apartment on the 6th floor is listed for 199,600,000 Yen. Based on average rents, investor-buyers should expect gross yields the 2 ~ 3% range. Just 6 of the 83 apartments will be available for sale during the first round of sales this month. They will be ready for delivery to buyers from early 2016. Because this was originally built as a rental building, it does not have floating floors (something commonly found in condominiums as a way to provide extra insulation and sound proofing, and allow for easier re-configurations of piping and layout). Ceiling heights are also a maximum of 2,450mm, which is average but a little lower than the 2,500 ~ 2,600mm found in luxury residences.